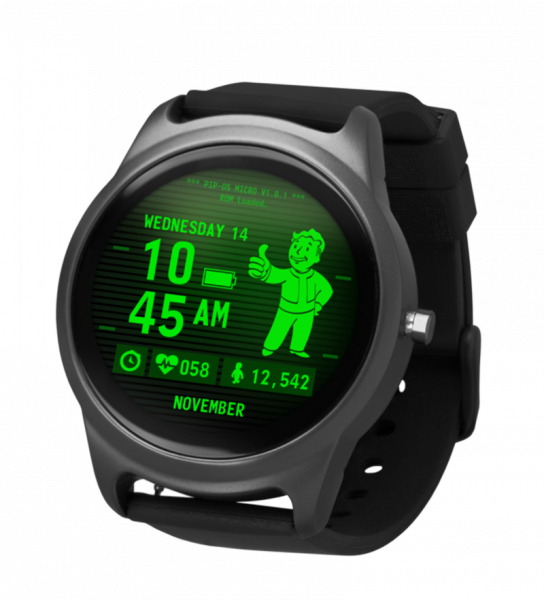 If we pretend that there wasn't a day where the world basically ended, we can be sure that Vault-Tec would have blessed us with a smartwatch and it would look like this. Sporting the exclusive "Pip-OS V1.0.1", this smartwatch offers the full Pip-Boy experience on your wrist! Messaging compatibility: Please note, iOS and CDMA networks (ei Verizon, Sprint) does not allow the watch to send or reply to messages. You can view (only view) your SMS messages in Notifications on your watch. Not compatible with some Motorola devices.